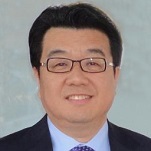 Robert Kim is a Global Advisor of ASK (Alternative Summit Korea), one of the largest alternative investments summits in Korea which operates under Korea Economic Daily News (WSJ of Korea). Robert has been involved in the investments, financial, and M&A sectors for over 25 years. He has a wide range of knowledge and experience relating to advisory in fundraising, investment banking, risk management, international joint ventures, and coordinating strategic international alliances in alternative investment area, especially between the U.S. and South Korea. With a unique blend of executive experience, knowledge and expertise in investment advisory, financial structuring/transactions, and a far reaching network, Robert is highly sought after by numerous companies in both mature and emerging markets. The specialization that he brings to bear for both client companies and portfolio holdings adds to the intrinsic value of each and provides them with a broader range of options to secure financing and investment advisory to achieve their goals. Robert has substantial experience in PR/marketing and capital raising advisory for managers of alternative asset funds and retains high-level relationships with institutional investors. He is one of the founding members of Seoul Hedge Fund Roundtable. He currently serves as an Executive Advisor to a number of emerging technology companies where he leverages his experience in financing joint ventures, M&A, corporate restructuring, corporate strategy, IPO, and reverse mergers on their behalf. He founded K-Tronik International Corp. in 1996 and later successfully took the company to a Nasdaq OTCBB listing in 2003 by reverse merger. In his capacity as CEO, he focused on corporate strategy and M&A, international expansion, and international financing and trading. Prior to K-Tronik, he founded Kingtec with Daewoo America Corp. and Ardrytech/Goldstar with LG, USA. Mr. Kim attended George Brown College.